The Punjab Government truly believes in the motto of ‘Raaj Nahi Sewa. And to ensure it walks the talk, the state has implemented a scheme to digitize government departments. With this initiative the State aims at making the system more reliable, transparent, credible and approachable to the people. A number of projects have been launched under with this thought in mind. Here is a look at some of the important projects. PAWAN (Punjab State Wide Area Network) has been launched to connect various government offices at state, district and block level. It has already connected more than 400 government offices. It will ensure secure electronic transactions and provide information publicly. In order to go through the e-governance projects of the government, one can follow the link http://dgrpunjab.gov.in/Home/pawan to get more information. One can also get information for their respective cities under this project, for example: http://www.kapurthala.net.in/. With this initiative, the State has won the heart of the people by giving power in their hands. This digital way of functioning will add to the efficiency of government offices. The Punjab Government has also taken a call to connect all Suvidha centres and Saanjh Kendras in the state to provide better facilities to residents. With the inter-connectivity of all centres, residents will be able to access 206 services of 24 departments of the government online from home and all the services would be provided in a time-bound manner. More than 18 lakh people are already availing facilities of Suvidha centres monthly and around 98.5% services are being provided on time. The government had set up a dedicated helpline number and an e-mail facility for the residents to file complaints and suggestions. If any resident is not getting any facility under stipulated time, he/she can complain and the officer concerned will be penalised as per law and a fine of Rs 10,000 would be imposed too. Application for caste certificate, issuance of birth and death certificate, rural area certificate and residence certificate could be availed at Rs 40, against Rs 50 at the counter. Issuance of marriage ability certificate could be availed for Rs 765, against Rs 830 at the counter, solemnization of marriage could be availed for Rs 910, against Rs 1,160 at the counter, registration of marriage certificate could be availed at Rs 950, instead of Rs 1,250 at the counter and issuance of arms license could be availed for Rs 1,325 against Rs 1,950 at the counter. To introduce ‘on the spot driving license’ is another effort of the Deputy Chief Minister, Mr. Sukhbir Singh Badal to make the government departments efficient and highly effective. Punjab is the first state to introduce this project and it is indeed a matter of pride for the citizens. The first automated driving test centre for this purpose has been established in Naruana. One can not only acquire license but can also get examined for driving skills. The Deputy Chief Minister has stated that this project has been set-up to abolish red-tapism and to avoid delay in transport offices. This unique system meets all the international parameters too. The Government is also planning to open 32 other online driving license centers in various locations of Punjab such as Amritsar, Barnala, Bathinda, Fazilka, Batala (Gurdaspur), Hoshiarpur, Jagraon, Mansa, Nawan Shahr, Pathankot, Patiala etc. The other government sponsored services like financial assistance to disabled persons and dependent children, old age pension, financial assistance to widows and destitute women, national family benefit scheme, senior citizen identity card, application for term loan to SC and BC, post metric scholarship to SC and BC, financial assistance under Shagun Scheme, issuance of disability certificate and job card under MNREGA and right to information and grievances redressal system have also become online. The digitization of the system as envisioned by the Deputy Chief Minister, Mr. Sukhbir Singh Badal aims to make the working of government department hassle free and transparent. All of these projects will ensure Punjab remains ‘Corruption Free’. A profusion of celestial knowledge, spiritual excellence, an embodiment of Godly devotion, selfless service and universal love, Guru Arjan Dev ji was all this and much more. 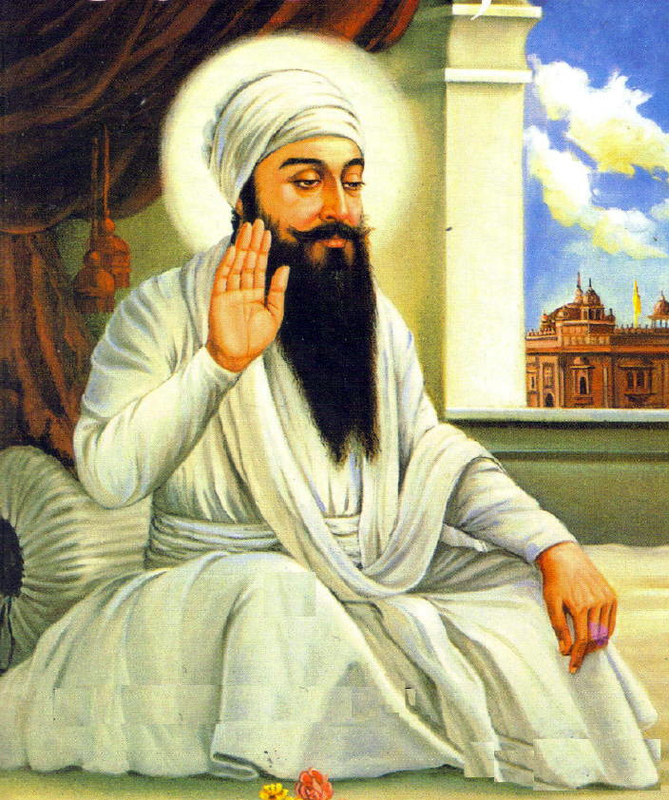 Born at Goindwal on April 15, 1563, he was the youngest of the three sons of Guru Ram Das Ji, the fourth Guru. Guru Arjan Dev spent eleven years of his early life under the benevolent grace and tender care of his maternal grandfather at Goindwal. Guru Arjan was married to Ganga, daughter of Krishen Chand, a resident of Meo village near Phillaur in Jalandhar district, he got married in 1589. In his life time, he compiled the hymns of the previous Sikh Gurus laying the foundation of the ‘Guru Granth Sahib’. He also additionally contributed 2218 hymns to the Sri Guru Granth Sahib and authored the Sukhmani Sahib bani – Prayer for Peace. This was his biggest contribution to the Sikh faith. He installed the holy Adi Granth for the first time, built the Golden Temple, developed Amritsar as a Centre of Excellence and enhanced the structure of Sikh Society by introducing the Masand system. He became the fifth Guru in 1581. After Guru Arjan Dev developed Amritsar as a centre of excellence; he founded other cities, such as Taran Tarn and Kartarpur Sahib. Guru Arjan Dev was arrested under the orders of the Mughal Emperor Jahangir and asked to convert to Islam. After he refused to do so he was tortured and attained martyrdom in 1606. His son Hargobind became the sixth Guru in 1606 following his martyrdom. Guru Arjan Dev’s martyrdom is considered a watershed event in the history of Sikhism. The governance reforms drive launched by Punjab government 6 years back with an aim to bridge governance deficit has shown revolutionary results. This innovative idea has attracted the Union Government Ministries, Organizations and other States to replicate Punjab experience. In the words of Deputy Chief Minister Mr. Sukhbir Singh Badal himself, “Punjab government achieved a lot in bridging four main governance deficits; trust, productivity, engagement and dignity. Before launching the administrative reforms, we have analysed that dignity and trust deficits are the most prominent concerns of citizens”. Punjab Governance Reforms Commission (PGRC) constituted in 2009 analyzed the information available from Suwidha network and Public Opinion Surveys of citizens to check their satisfaction with government programs and pain areas. Based on this study, Punjab brings revolutionary reforms at two key levels ie; Government to Government (G2G) services and Government to Consumer (G2C) services. Old system was time consuming and there was productivity and wage loss to individual as well as government. 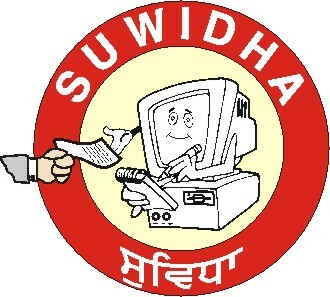 Punjab Government has found that out 22.68 lac services delivered through the Suwidha centres, 14.8 lac pertains to attestation of affidavits, thus, decided to tackle the issue of Affidavits on priority basis. State identified 12 services where an affidavit is mandatory under State & Central laws and waived of affidavit for 88 other government services. This decision not only leads to reduction of total number services relating to affidavits from 14.8 Lacs to 3.20 Lacs but also saves more than Rs. 300 Crore. The year 2014 culminate on a high note for Governance Reforms in Punjab as Punjab becomes the first state in the country to successfully launch e-SARKAR to witness paperless governance. Under e-district project as many as 157 suwidha kendras across the state are made fully operational providing more than 36 public services. The state has also interlinked all 147 departments with 143 branches to route common tasks online through IWDMS system. All 22 treasuries and 74 sub-treasuries have been put on automated online processing through this system. In year 2015, Punjab is all set to take lead by setting up 2174 Sewa Kendras, more than 500 Saanjh Kendras, 153 Fard Kendras, 132 Suvidha Kendras and 2112 Gram Suvidha Kendras throughout the state. State also got honored for its efforts with ‘Best Governance Practice’ award from Prime Minister of India. Uninterrupted Power Supply – By December 2015! After attaining the power surplus capacity goals, Deputy CM Punjab Mr. Sukhbir Singh Badal has initiated the second phase of this mission that is to ensure uninterrupted power supply in the state by December 2015. State government has envisioned strengthening of the transmission and distribution network of all the villages and towns of Punjab under various programmes to make this a reality. It is to be noted that, at present, some parts of Punjab have been witnessing short power cuts regularly. This is because of the reason that the state government is in the process of upgrading prevalent power distribution infrastructure which includes laying open wires underground, upgrading transformers and so on. While this work has been stopped currently, keeping in consideration the extreme hot season, it will duly resume after couple of months. Transmission and distribution (T&D) network of all villages and towns of the state will be strengthened at a cost of Rs 2514 crore. The main scope of work is to have new as well as augmentation of HT & LT lines, establish distribution transformers, replacing electro mechanical meters with electronic meters, shift meters outside consumer premises and erect new sub-stations and associated transmission lines. The work on this mission is in full swing; two 66 KV substations had been commissioned in Ludhiana, whereas, 9 other sub-stations namely Nabha, Kannoi and Khillrian in Sangrur, Gurdaspur, Batala, Pathankot, Tarantaran, and two in Amritsar are likely to be commissioned by the end of July. After successfully launching the Restructured Accelerated Power Development and Reforms Program (R-APRDRP) worth Rs. 1314 Crore for strengthening the T&D network of 47 towns having population more than 30000, state government has proposed Integrated Power Development Scheme (IPDS) to cover 70 more towns having population 5000 or more. Under R-APRDR Program, the work is at advanced stage on 24 projects covering Amritsar, Jalandhar, Ludhiana East, Ludhiana West, Patti, Hoshiarpur, Kapurthala, Phagwara, Gurdaspur, Pathankot, Tarntaran, Batala, Nakodar, Sunam, Sirhind, Nangal, Rajpura, Sangrur, Malerkotla, Samana, Nabha, Barnala, Kharar and Jagraon. The work on remaining 23 projects in various towns will be launched in coming days. 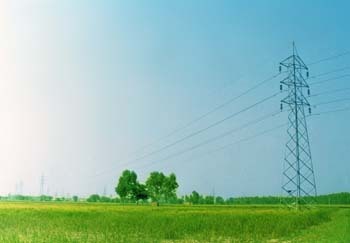 Following the plans of Deputy CM to ensure parallel development in urban and rural areas, the condition of the power infrastructure in the rural areas will be further enhanced under Deendayal Upadhyaya Gram Jyoti Yojana (DDUGJY). Under DDUGJ Yojna agricultural and non-agricultural feeders will be separated facilitating judicious rostering of supply to agricultural and non-agricultural consumers in the rural areas as well as strengthening and augmentation of infrastructure. Deputy CM Mr. Badal himself promised, “People of the state will witness total revamping of power infrastructure, uninterrupted power supply, quality services by the end of this year and it would also increase state revenue”. The achievements of Punjab State Power Corporation Limited has already gained the confidence of people of the state as PSPCL’s team has bagged three excellent and two distinguished ranks in the National Convention on Quality Concepts (NCQC-2014) that was held at Pune. Once these projects are completed, PSPCL will have another feather in its cap as there will be considerable abatement in Transmission & Distribution losses and reliable power supply will be assured to the people of Punjab. System reliability, transparency and facilitation at low cost are essential – the State Government is leaving no stone unturned for the benefit of the masses. Facilitation charges of the services under the Right to Service Act had been reduced, with a view to give a fillip to the availability of online citizen services. The charges for online applicants have been kept lower than the counter just to prompt the online users. There is five percent to 25 % reduction in charges for the online users. Services such as application for caste certificate, issuance of birth and death certificate, rural area certificate and residence certificate could be availed at Rs 40, against Rs 50 at the counter. online user would avail benefit included issuance of marriage ability certificate for Rs 765, against Rs 830 at counter, solemnization of marriage for Rs 910, against Rs 1,160, registration of marriage at Rs 950, instead of Rs 1,250 and issuance of arms license for Rs 1,325 against Rs 1,950 at counter. Permission to carry weapon, cancellation of arms license, change of address, addition/deletion of retainer, change of bore, permission to deposit weapon/sale and transfer in death case have also been cut by Rs 100 for online services. Besides this, services related to agricultural department such as issuance and renewal of license for sale of seeds/fertilizers and insecticides, issuance of duplicate license and addition of items in license would be provided with fee of Rs 160, against Rs 170 on the counter. The whole focus is in providing 249 services online, to wipe out corruption, offer a hassle-free environment and cut delays in service delivery mechanism. In the same context, Deputy Chief Minister Sukhbir Singh Badal has also directed all the departments to provide citizen services online. This will not only save money and time of the people but also cut off the rush on the door step of suvidha centers and Saanjh Kendra’s. Besides, online delivery of services would also be fruitful for Punjabi Diaspora as they would get required services not just in-line but online. The other government sponsored services like financial assistance to disabled persons and dependent children, old age pension, financial assistance to widows and destitute women, national family benefit scheme, senior citizen identity card, application for term loan to SC and BC, post metric scholarship to SC and BC, financial assistance under Shagun Scheme, issuance of disability certificate and job card under MNREGA, right to information and grievances redressal system has been made available online. Punjab government realizes the need for diversification and has taken several steps over the last 2 years to decrease area under paddy cultivation. This includes encouraging cultivation of ‘Basmati’ variety of paddy which requires lesser water, besides increasing area under cotton. Both initiatives, which have been conducted in league with the Punjab State Farmers Commission, are aimed at arresting the depleting water table in the state as well as encouraging alternative crops. Steps taken include introducing 80% subsidy on agricultural infrastructure like drip irrigation, water tanks, solar water pumps and solar connections. Subsidy of 50% on seeds, insecticides, pesticides, machinery and other input materials has also been provided to boost cultivation of alternate crops. Government of Punjab has also taken another step to kickstart diversification establishing a state-of-the-art Borlaug Institute for South Asia (BISA) to develop new varieties of Wheat, Cotton and Maize crop through research at Laddowal, Ludhiana at a cost of Rs 500/- crore. Institute has also produced Water smart agricultural practices which saves 40-50% of water without any yield penalty in rice-wheat / maize- wheat systems. Other developed technologies include introduction of legume in rice-wheat / cotton-wheat / maize-wheat systems. This initiative not only provides additional one tone of yield but also enriches the soil through N2 fixation. All these reforms are made for the betterment of the state and its people. State has also enhanced the budget for PAU to Rs. 310 crore for the year 2014-15 from 300crore of 2013-14 to carry out extensive research and development. Following recommendations by experts, state has earmarked 12 lakh hectares out of total 26.50 lakh hectare area currently under paddy, for shifting to alternative crops like maize, sugarcane, cotton, pulses, fruits and vegetables besides Agro Forestry in next five years. Five citrus estates at Abohar, Tahliwala-Jattan, Bhunga, Badal, and Hoshiarpur were established at a cost of Rs. 5 crore to promote citrus fruits in their natural growing areas in the state. Estates of Litchi and Pear will also come up at Pathankot and Amritsar at a cost of 3.8 Crore. Punjab has recently won the “Krishi Karman Award” for 2013-14, being the best performing state in overall food grains production. This proves that Punjab is moving in the right direction and taking appropriate steps to make agricultural diversification a reality. In a bid to open new avenues of self employment for youth, Punjab Chief Minister Mr. Parkash Singh Badal today gave the nod for setting up a state-of-the art ‘Integrated Skill Development Centre’ in Ferozepur district. The Chief Minister said such centres were the need of the hour to make the youth self reliant. He said this centre would impart world class skill training to the youth in various sectors so as to enable them to earn their livelihood besides producing a pool of skilled manpower so as to cope up with the need of industry of the state. This centre is to be established under the Punjab State Skill Development Mission and it would also have a C-Pyte centre to train the youth for recruitment in the Armed forces and Para-Military forces. The Chief Minister also gave approval for the construction of separate sheds in the existing ITI for imparting skill training to the women. He said this would help in their empowerment thereby enabling them to lead a life with pride and dignity. Recently while addressing the members of the National Executive Committee (NEC) of the Federation of Indian Chambers of Commerce and Industry (FICCI), the Chief Minister also said that the industrialists would play a proactive role in promoting technical education with the help of these centres. This initiative will remove the demand and supply gap of the industry by imparting skill training to the youth with industrial tycoons playing a pivotal role. The team of entrepreneurs and industrialists can properly guide and develop the youth as per the needs. Approximately 1.56 lakh youth in the age group of 14 to 23 years will get training from these centres. The state has also asked the entrepreneurs to set-up centres in areas such as Fazilka, Faridkot, Mansa and Sangrur. The state is also all set to join hands on various projects relating to smart cities, medical technology and food processing sector. These steps would further propel the pace of growth and all round prosperity in Punjab.